As a speech therapist, I love using my TPT products and buying from other sellers. In order to preserve my color copies of all my task cards and stimulus items, I LOVE to laminate. 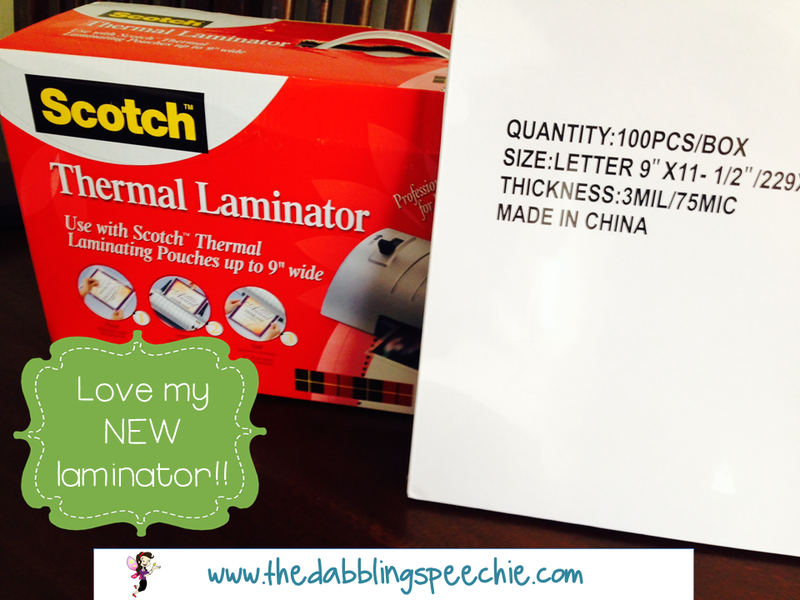 I dabbled on the internet and found some great deals for buying laminators and laminator sheets. They can get soooooo expensive and I run out so quickly! Check out my BLOG POST for links to all the deals!